Debra's thoughts on Oracle: WIT - A Self Fulfilling Prophecy? Wikapedia says A Self fulfilling prophecy is a prediction that directly or indirectly causes itself to become true, by the very terms of the prophecy itself, due to positive feedback between belief and behaviour. First my own self fulfilling prophecy - this post will be controversial, but when I first started blogging that was the advice I got from my employer, if your blog is to make people think and you want people to keep coming back to your blog then it needs to be controversial. Women in IT has been a popular topic at conferences for the past few years, I attend a lot and there are not many that don't have Women in Technology or Women in IT (as we call it at UKOUG) on the agenda. We had a brilliant session at the end of UKOUG. I read and hear so much about what shouldn't happen, sessions that are full of people complaining that I believe this is a self fulfilling prophecy. If you just encourage people to talk about negatives then they will and it won't motivate change. That doesn't mean sweeping things under the carpet either. If there is a problem then state it, followed by a positive step for change, and that isn't 'just don't do it'. At our session in Liverpool there was one comment about the social event not being aimed at a mixed audience, I am not sure I agree, I went to both and enjoyed them but if it discouraged some women then it needs addressing. We decided a positive way to address to to get more women to step up to volunteering to be part of organising committee. Left to the 'lads' what do you expect? I've openly said that the people I admire are the role models as WIT and that is why I want more to come forward and share their stories. I wrote in Oracle Scene in the run up to UKOUG about how our speaker base was actually representative of the position in industry. That is what needs to change the number being encouraged and stepping up. Kellyn Pot'Vin-Gorman who I really admire for putting WIT on the agenda in the Oracle World wrote a great piece recently about what the industry should stop doing, but even here several of the points are self fulfilling prophecies, I have never been asked about day care, or domestic arrangements except in WIT sessions! Someone said to me on reading it 'I feel left out, people only ask me about my job', and that is how it should be. There are things that need to change but no 1 is encouraging the right people be they male or female to step forward and join our industry, not put them off by underlining issues. I am not saying there are not issues and they do need addressing but I have not been held back and most women I know in IT feel the same way. I have written about this before. We can't change the representation today, but we can change some things and that is by getting everyone not just women to be aware of simple things, so next year UKOUG will look at putting the WIT on before sessions and open it up to everyone. 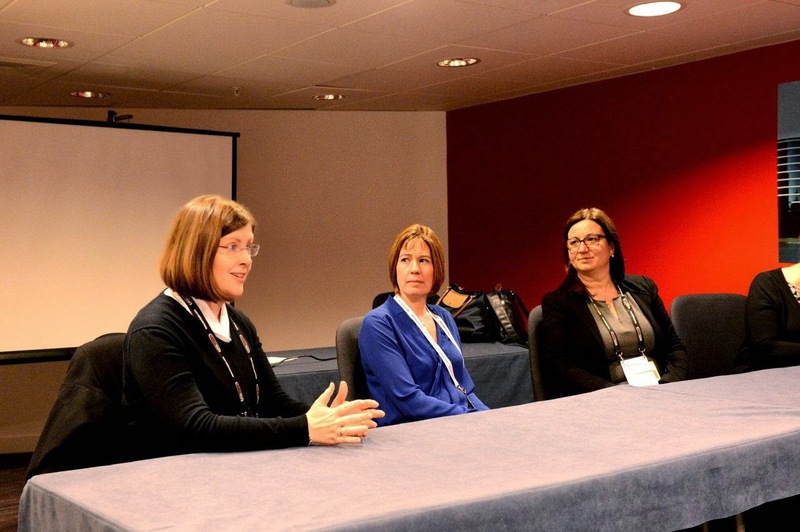 At UKOUG we want to talk about the positive things we can do to encourage women.